Until April 3rd next week, Rockstar are giving away double rewards on 15 RC Bandito Races. When Martin Madrazo calls on your GTA iFruit phone look out for dispatch missions to take part in. New apparel comes in the form of Binco Fake Didier Sachs t-shirts. 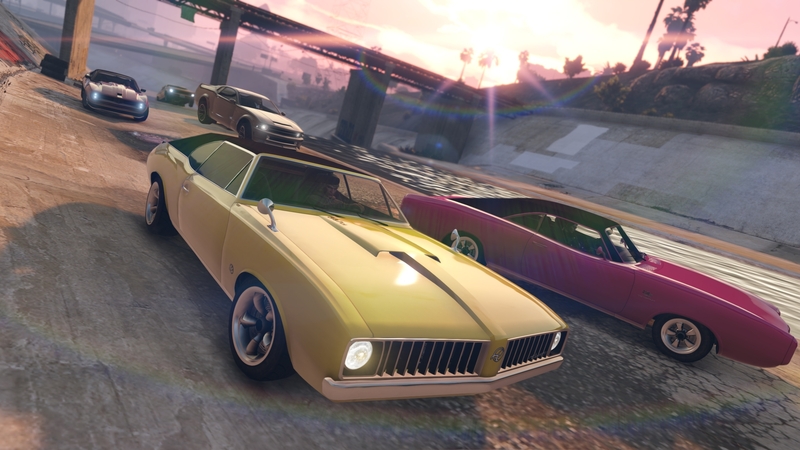 In addition to this 10 car garages, and classic muscle cars pictured above, which are currently 50% off as well as 40% discounted rates on vehicle upgrades and the RC Bandito over at Southern San Andreas Super Autos. Check out my typically me pink customised RC self detonating below. Lol.